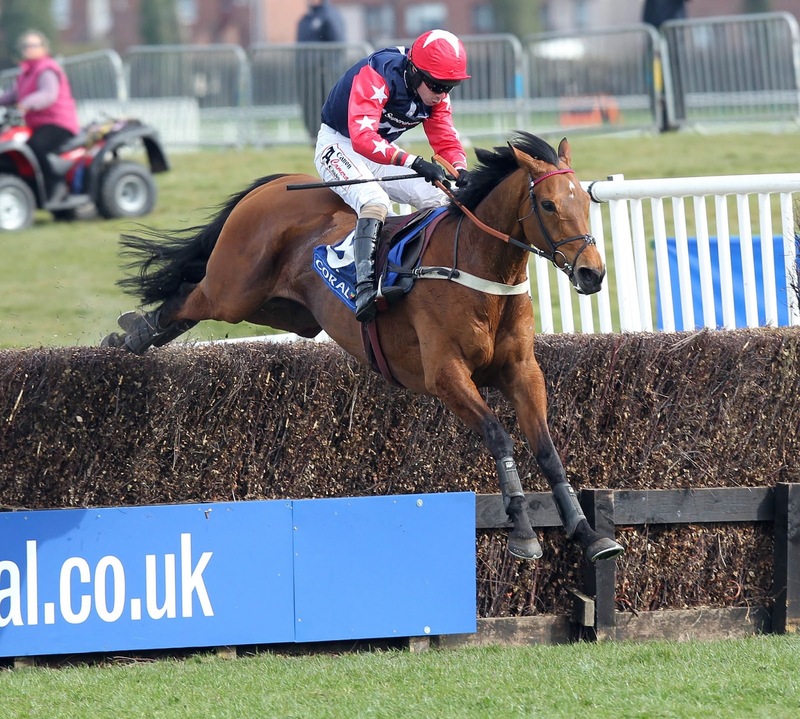 Alan King was the proudest man at Ayr Racecourse on Saturday when Godsmejudge (pictured below) crossed the line a four length winner of the Coral Scottish Grand National. The Wiltshire based, Bellshill born trainer worked as an assistant at Cree Lodge Stables just yards from the Ayr track in the late 1980s, and said he felt as if he was ‘coming home’ when he went up to receive the magnificent trophy. Jockey Wayne Hutchison had his horse in from a long way out and oozed confidence as he turned into the home straight. A record crowd of 18,300 packed the stands and sold up signs went up on both the Club Enclosure and in Hospitality. The main supporting race, the QTS Scottish Champion Hurdle was won by Court Minstrel, trained in the Vale of Glamorgan by Evan Williams and ridden by conditional jockey Adam Wedge. And there was a bumper near £40,000 prize for Netminder’s Borders trainer Sandy Thomson and jockey Peter Buchanan when they landed the Weatherbys Hamilton Insurance Novices Handicap Chase. 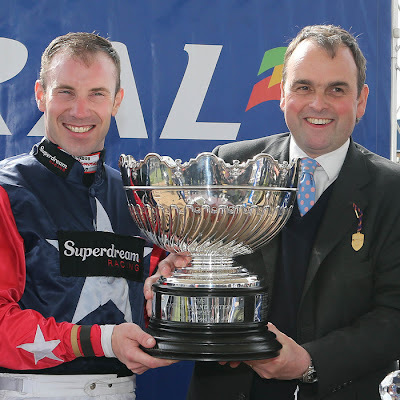 Friday’s highlight was the Hillhouse Quarry Handicap Chase which was won by Bocciani, ridden by Tom Scudamore . The 6/1 chance won by five lengths from Mr Moonshine and Ryan Mania.